Radio host Natan Zahavi should really watch his language, the High Court said, considering comments he made about MK Yisrael Eichler. Controversial radio host Natan Zahavi should really watch his language, the High Court said Thursday – but there was no need to make a constitutional case out of a fine he and his employer, a Tel Aviv radio station, received after he cursed MK Yisrael Eichler on a broadcast last year. Upon the recommendation of the Court, the station, Radio Lelo Hafsaka (Non-Stop Radio), withdrew a constitutional lawsuit against the Second Radio and Television Authority, and the latter slashed a fine it imposed on the station from NIS 70,000 to NIS 25,000. The lawsuit against the Authority surrounded the increased fine, with the station attempting to frame the fine as an attempt to “interfere with freedom of speech.” The court said that it was not a good idea for the station to attempt to use this case as a test for constitutional issues, considering the content and comments it was trying to defend. At issue was a broadcast in which Zahavi, who is known for his sharp tongue, insulted and cursed Eichler for a speech he made in the Knesset slamming author Yoram Kaniuk during a memorial for him. Kaniuk “specialized” in writing sarcastic books about haredi life, and Eichler condemned honoring him after he passed away. Zahavi stormed against Eichler, using pejorative terms to describe him and other haredim, cursing him, and wishing for his death. 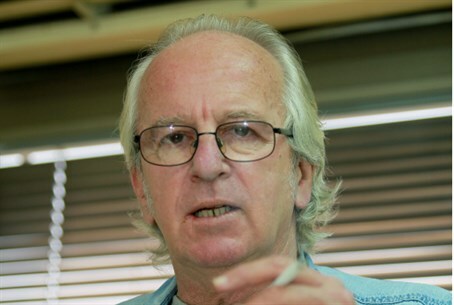 Attorneys for Eichler filed a complaint against Zahavi with the Authority, and after several hearings, the latter raised a standard NIS 25,000 fine it originally imposed on the station to NIS 70,000. In response, the station sued the Authority, claiming that it was seeking to “shut Zahavi's mouth” and interfere with his freedom of speech. Bad idea, the court said; given the comments made by Zahavi, it would be very hard to prove that the Authority increased its fine because it tried to hound him off the air, and not because it wanted to give the station and excessive punishment because of the severity of Zahavi's comments. The court recommended that both sides back down. Any fines paid by the station in excess of the NIS 25,000 original fine will be returned.